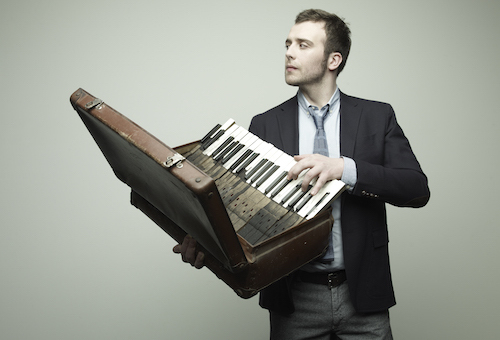 Raphael Gualazzi is a young Italian pianist from the small and picturesque city of Urbino, in the Marche region. Still relatively little known outside jazz circles, Gualazzi might be one of Italy’s best kept secrets! After his 2005 debut album, Love Outside The Window, which featured 11 original tracks entirely composed and arranged by him and earned him a few great reviews, he was signed on Caterina Caselli’s label Sugar. Then came two singles: “Don’t Stop” and “Reality & Fantasy”. The latter was immediately spotted by French DJ Gilles Peterson, who then featured it on his show last January. This spellbinding and hypnotic track (here remixed by Peterson himself) is clearly reminiscent of the golden days of jazz music. Gualazzi’s voice, ethereal and gender-confusing, evokes both silky-voiced diva Nina Simone and operatic pop singer Antony Hegarty. Enhanced by simple piano chords and Peterson’s soft electronica arrengements, it works like a charm on this absolutely gorgeous track. According to recent reports, Raphael Gualazzi is currently working on his soon-to-be-released second album. Keep an eye, and an ear, out for this promising young talent!